Dot paper is very similar to graph paper. If you imagine a graph paper drawn instead with just a single dot placed at each intersection of the grid lines, you'll get dot paper. The larger dot paper on this page is actually great for playing the 'dots and boxes' game. 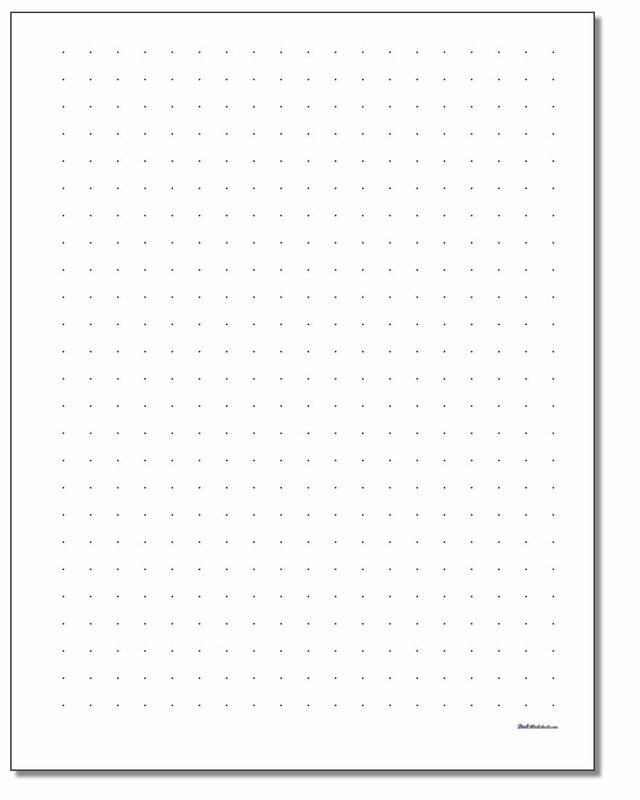 The dot paper on this page uses a larger dot that is easier to see, but will be somewhat more visible in the drawings you make. You'll find printable dot paper with fine dots if you'd like a grid that is less visible on the printed page.